Spiritual Life Retreat: Every secondary student enrolled at Belleview participates in a retreat designed to build relationships with other students and faculty while encouraging them to grow deeper with Jesus Christ. The retreat is most definitely a highlight of every student’s memory at Belleview. 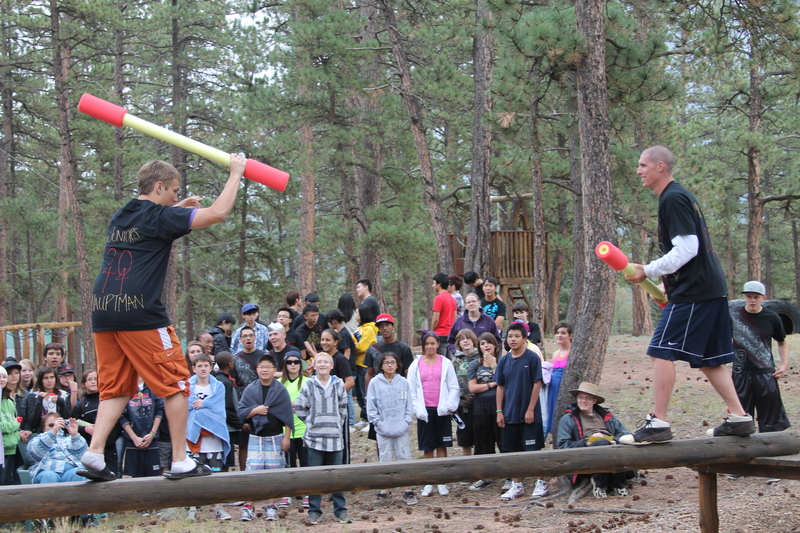 Students and faculty spend 3-4 nights at a beautiful retreat in the mountains and participates in many fun activities. Student Council: Students have the opportunity to participate in Student Council, either as appointed or elected class representatives. Student council is a service organization, providing support for many school events. Homecoming: Junior/Senior Banquet – Homecomings and special “school spirit” weeks are part of the activities included in the Fall and Winter. In the spring, a formal Jr/Sr high school banquet and after party is planned by the Junior Class. Awards/Field Day: Secondary students are awarded for academics and character in a morning year-end assembly. Students are inducted into Belleview’s Honor Society. School Play: Secondary students produce a school musical or play during the month of April. Productions include “The Sound of Music”, “Fiddler on the Roof”, “Seven Brides for Seven Brothers”, “Beauty and the Beast”, “Annie”, “The Lion, The Witch and The Wardrobe”, “Cinderella”, and “The Bard is Back”. Athletics: Students can compete in athletic activities while learning good sportsmanship from a biblical perspective. Sports include football, volleyball, basketball, soccer and cheerleading and we are a member in good standing with the Colorado High School Activities Association (CHSAA).